Do you know the pH of your cleanser? Surprisingly, most facial cleansers are a harsh 10 pH, whereas your skin is 5.5 pH. This pH difference can lead to unnecessary skin dryness and a “tight” skin feeling after cleansing. Era Organics Cleanse + Restore Natural Face & Body Cleanser is a cleanser that matches your skin’s pH of 5.5. That means hydrated, dewy and balanced skin. Era Organics Cleanse + Restore is perfect for sensitive skin, aging skin, dry skin, or acquired skin sensitivity due to topical products such as Vitamin C, Retinol, AHA, dermabrasion or peels. It is gentle enough for delicate facial skin, yet the organic ingredients like Aloe Vera and Manuka Honey are powerful enough to cleanse the body as well. 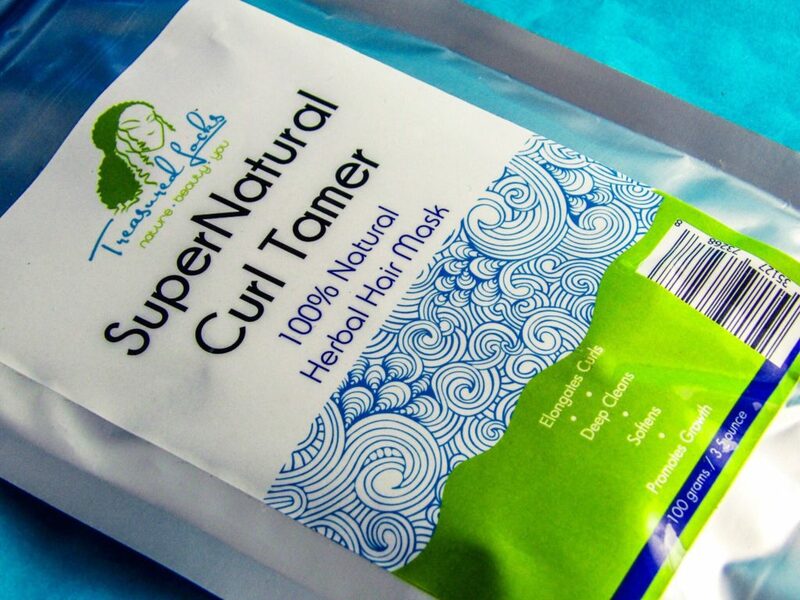 It is hypoallergenic, as well as paraben and sulfate-free. 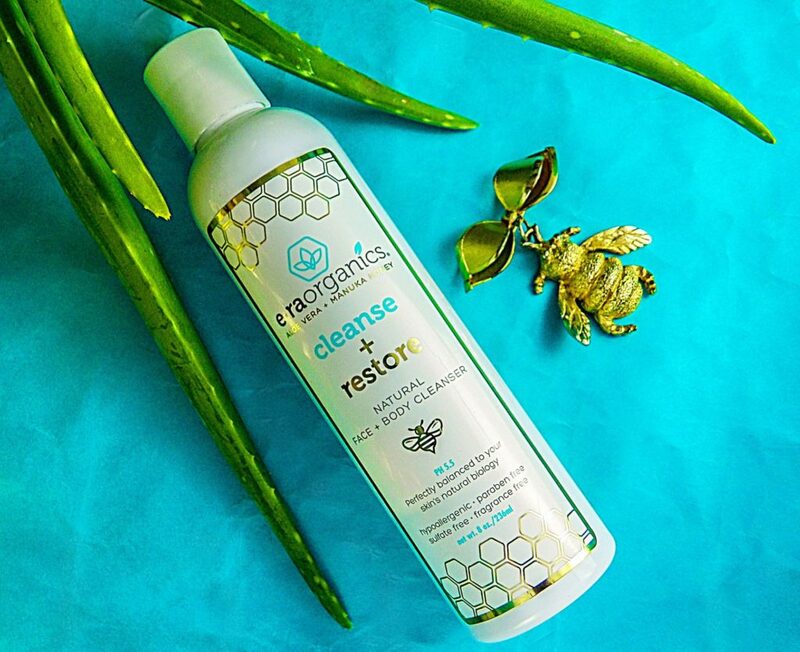 Era Organics Restore & Cleanse contains high-quality organic ingredients like Manuka Honey, Cehami and Aloe Vera to optimize your complexion. MANUKA HONEY: Manuka Honey (Leptospermum Scoparium) has amazing healing, protecting and hydrating properties. It fights free radicals and is an anti-aging secret to boosting collagen production and cellular regeneration. Manuka Honey works best when combined with hydration, making Manuka Honey within a facial cleanser an ideal combination. Manuka Honey is a monofloral honey obtained from the antibacterial and antifungal tea tree. This gives it natural antifungal, antibacterial and antiviral properties to heal skin conditions. It is an especially helpful ingredient within a facial wash for acne and eczema suffers. 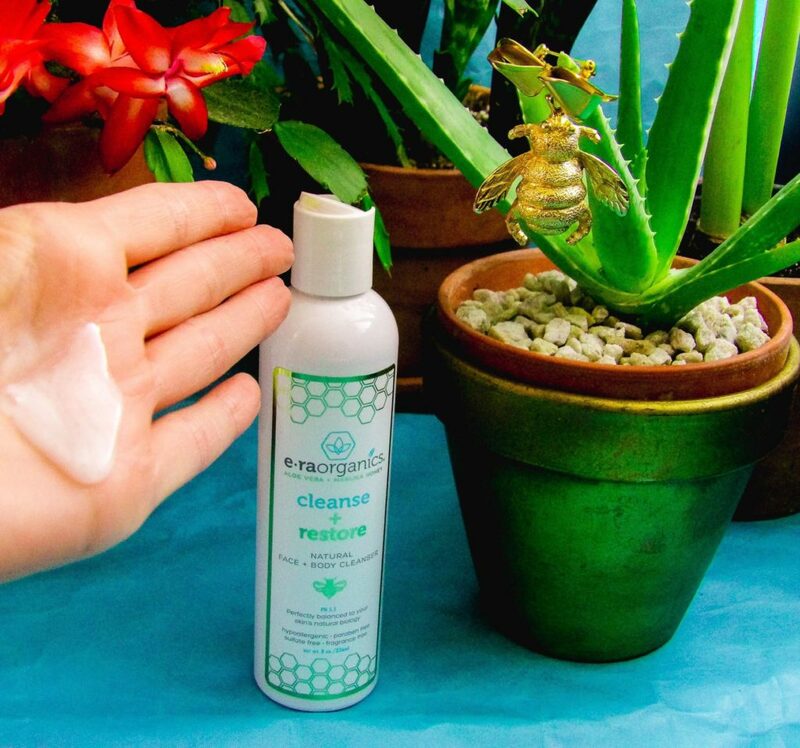 This also makes it a very suitable cleanser for those who suffer from psoriasis, dermatitis, wounds, burns, insect bites, rosacea, stretch marks, and sunburn. Manuka Honey is also known to kill Strep, Staph, and MRSA, which makes Era Organics Cleanse + Restore an ideal body wash for use after a workout at the gym, Pilates or Yoga Studio. CEHAMI (Centipeda Cunninghamii) is a powerful humectant, filling the skin with moisture. It is an extract from a kind of daisy flower in the Australian outback. 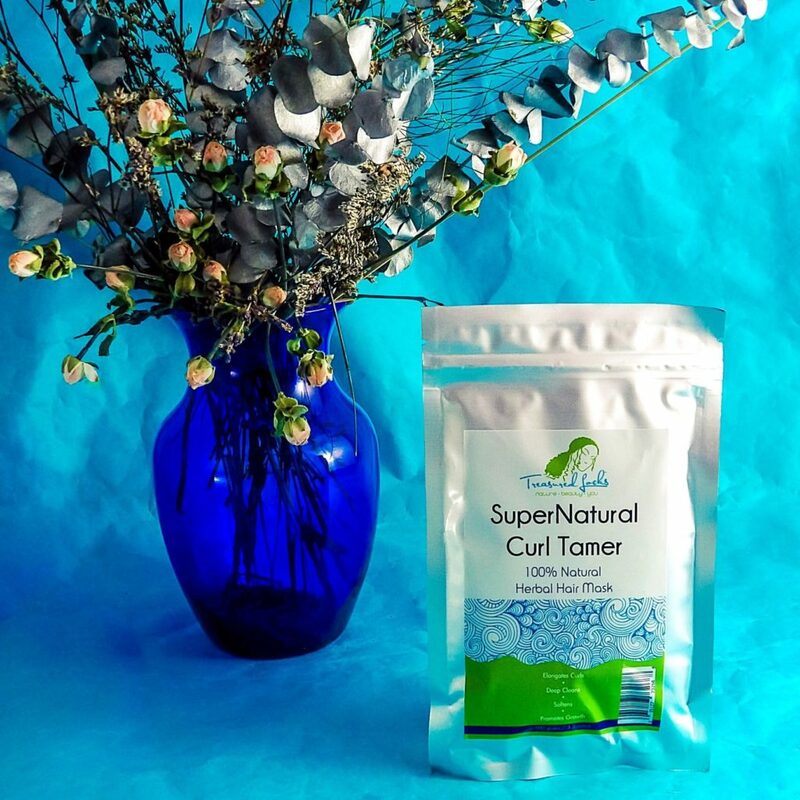 Research indicates it works as an effective anti-itch analgesic, an anti-inflammatory, anti-microbial and cellular regeneration accelerant. Cehami makes skin look healthier and younger. 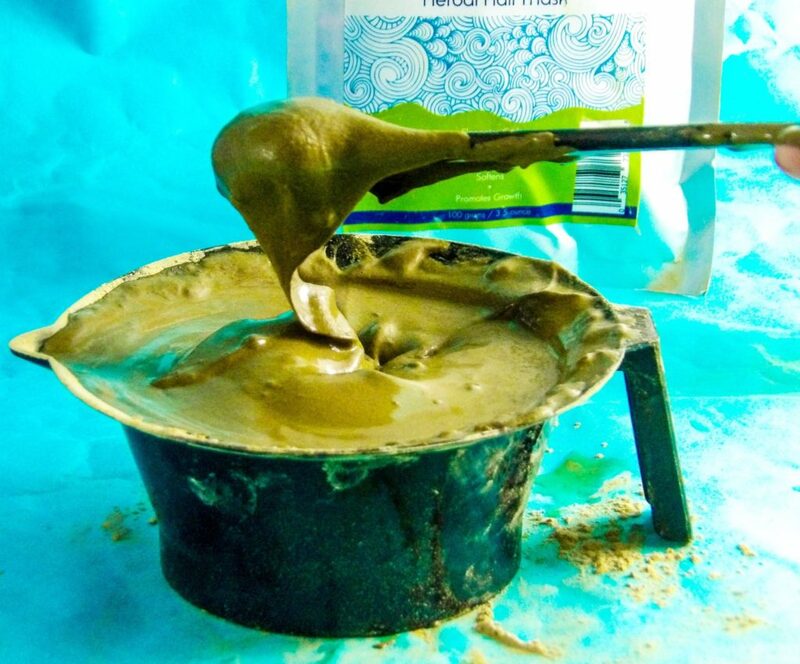 ORGANIC ALOE VERA BARBADENSIS GEL: Aloe Vera is known for its’ ability to soothe minor burns, scrapes, and heal the skin. It provides nourishment to the skin as it contains Vitamins A, C, Bs, and E as well as minerals and enzymes. This skin “food” heals, hydrates, accelerates skin cell growth and provides anti-inflammatory and anti-bacterial properties. This is important in a cleanser as dry and dead skin cells are washed away, and new skin is exposed. The cleanser has a luxurious lather and no scent, which are fantastic features if fragrance irritates your skin. It rinsed off quickly and cleanly with no residue or film on my skin, yet my skin felt soft and was not “tight,” even on sensitive areas of my face like my cheeks. I especially like using Cleanse + Restore on my face and hands. I like using it as a facial wash because my already sensitive skin is made more sensitive by topical treatments such as Vitamin C serum, but this facial wash did not leave my skin feeling dry or raw, it did not sting or irritate. My skin felt soft and supple after use. I used it both as a manual face wash (massaging it in with my hands) and with my oscillating facial brush device, and both methods left my skin smooth, soft and hydrated without dryness or irritation. I wash my hands very frequently each day, and they tend to get raw and at times red, particularly on the knuckles, cuticles, and joints. Cleanse + Restore is a soothing wash to my hands that does not cause any irritation but keeps me free from bacteria, germs, and viruses. The combination of ingredients in Era Organics Cleanse + Restore Natural Face & Body Cleanser is a super combo of hydrating yet healing, softening yet cleansing, gentle but effective pairings that are suitable for both face and body. I love that it has such a nice lather yet it does not strip my skin of moisture because it is pH balanced to my skin. I also really like that there is no scent at all – not just no perfumey fragrance covering over a chemical product scent – but no aroma. The lather feels gentle but cleanses well on the face, body, and hands. I am happy to find a cleanser like this for travel and especially for the gym for my post-workout shower, so I can wash my face and body with the same cleanser to both protect and hydrate my skin. The good folks at Era Organics are giving Style Chicks readers 25% off with coupon STYLEC25.